HomeMolybdenum ElectrodeHow to Choose the Size of Molybdenum Electrode? The main component of the molybdenum electrode is molybdenum and prepared by powder metallurgy. The internationally used molybdenum electrode contains 99.95% of the components and has a density greater than 10.15g/cm3 to guarantee the quality of the glass and the service life of the electrode. The commonly used molybdenum electrode size ranges from 20mm to 152.4mm in diameter, and the single length can reach up to 1500mm. 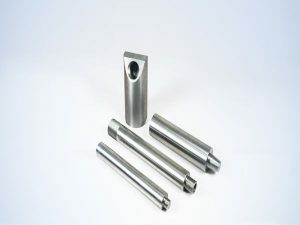 The current molybdenum electrode can replace the original heavy oil and gas energy, and effectively reduce the pollution to the environment and improve the quality of glass. The material of molybdenum electrode is softer than that of tungsten material and has incomparable elastic modulus. Molybdenum electrode has many excellent properties, such as high melting point, good machining, corrosion resistance, low expansion, ultra-high strength and stiffness, excellent thermal conductivity, good ductility, as well as low emissivity, resistivity, and steam pressure. According to the advantages of the molybdenum electrode, it can be applied in different fields. Molybdenum electrode is characterized by high hardness, high melting point and superior performance at high temperature, which is suitable for welding non-ferrous metal copper, aluminum, nickel, etc. Generally, the diameter of the molybdenum electrode is between 35 ~ 75mm, while the size of the molybdenum electrode is determined by the current density. Normally, the electrode with the diameter of about 50mm is selected for melting borosilicate glass, and the promotion of the electrode in operation depends on the actual current density. For the vertical electrode, the electrode continuation should be considered when the density reaches 0.8A /cm2. As the electrode consumption increases, the current density of the electro melting furnace with a longer furnace age (more than 4 years) increases. If the electrode is not ready to be continued, the current density needs to be controlled at a lower value. When the current density of the molybdenum electrode runs below 0.6A /cm2, the electrode is barely consumed. The resistivity of soda lime glass and other low resistance glass is lower than 15Ω·cm, so it is difficult for the electrode to control the current density below 0.6a /c m2. Due to its low viscosity and low resistivity, 75mm electrodes are often used. In addition, the electrode will have different degrees of loss during operation, so the electrode must be carried forward. From the operating cost of the electrode, the plate electrode consumption is less, so it is more suitable for sodium and calcium glass melting. The conductive distance of the electrode has a direct influence on the running life of the electrode. If the electrode is too close to each other, it will be in a state of low voltage and high current during operation. 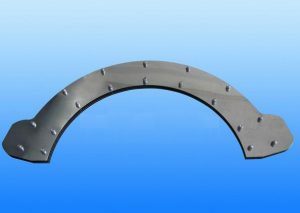 This local high power will not only reduce the life of refractory but also increase the loss of the electrode and bring defects to the product. Besides, the current density value is too large, the destructive effect on the electrode is greater. Within the allowable range of voltage that the electric melting furnace can withstand, the operation scheme of high voltage and low current can improve the efficiency, but it should meet the requirements of melting process and operation safety. When the correct process design establishes the running state of low voltage and large current, increasing the conductive area of the electrode can improve the electrode life.